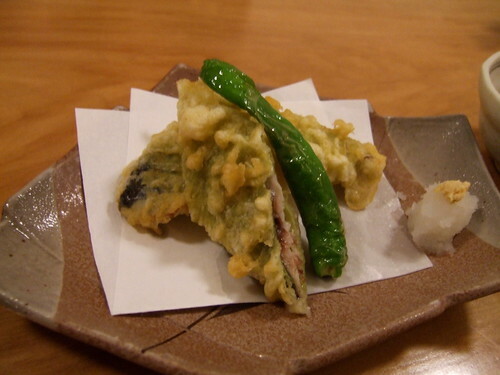 Kyoto was a playground for new cuisine and ideas – purposely spanning the strata of price and styles of dining. It seemed necessary to try tofu in Kyoto where they have purportedly taken the ingredient to an art, despite personal prejudices against what passes for tofu dishes in the US. 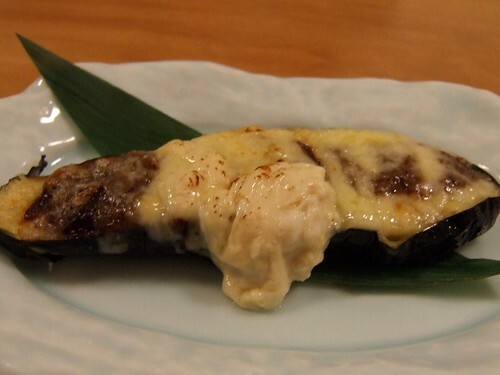 Serendipity played its usual role and, despite looking for something interesting, I chanced upon Exile Kiss’s review of Komameya – home of the yuba tasting menu. 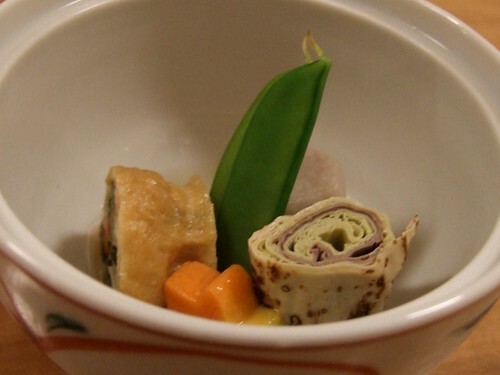 What could be more fascinating than taking the infinitely gratifying textural qualities of yuba and coaxing an entire menu out of their variations? 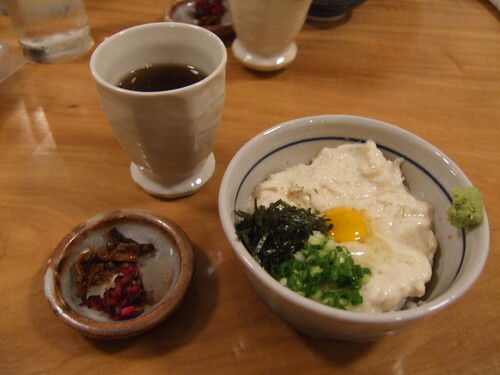 Komameya (“little bean shop” per Kyoto Foodie) specializes in their own house-made yuba. 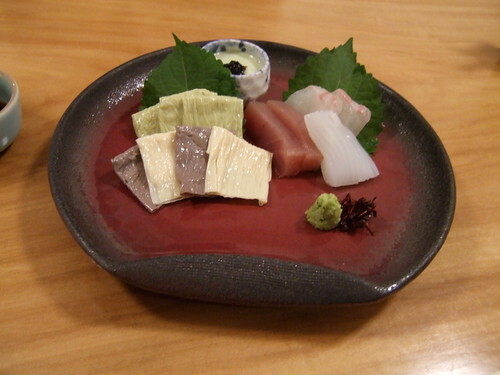 Like many restaurants in Japan, it is a chain, with three locations throughout Kyoto. 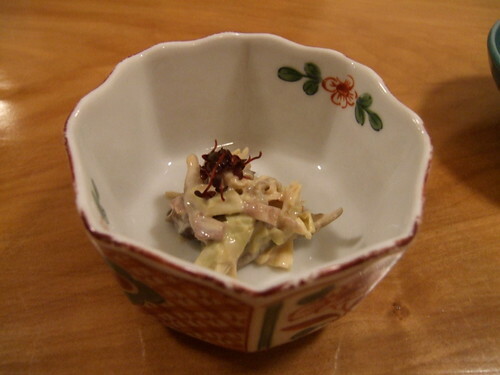 Each location offers a la carte or a “kaiseki” (re: tasting) menu. 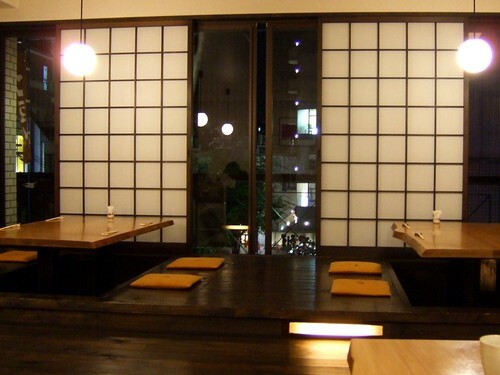 This location (near Karasuma-dori) was casual but it had an under-stated modern elegance – clean geometric lines. The waitress spoke admirable English but your experience may vary. Lunch and dinner are available. 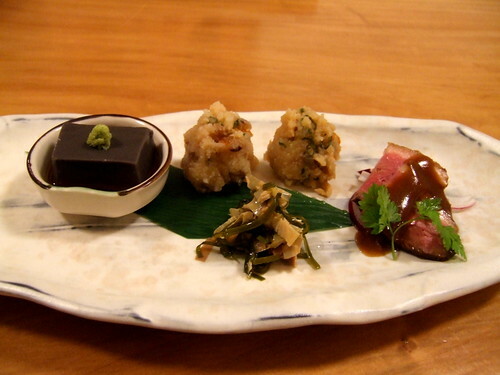 Komameya is a little too careless at times to be considered an elite Kyoto restaurant but it is an enjoyable stop with eye-opening possibilities. 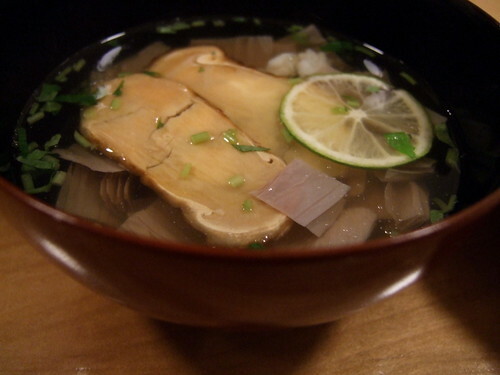 The texture variations from one dish to the next should satisfy most curiosities. For chefs, the riffs on a single ingredient could provide imaginative spark and ideas. 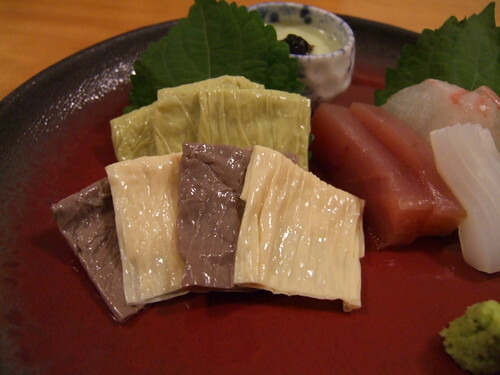 If you are a fan of yuba, or just want an “easy” night out, Komameya should not disappoint; otherwise, try ordering the “sashimi” and a few other dishes for lunch. how interesting. 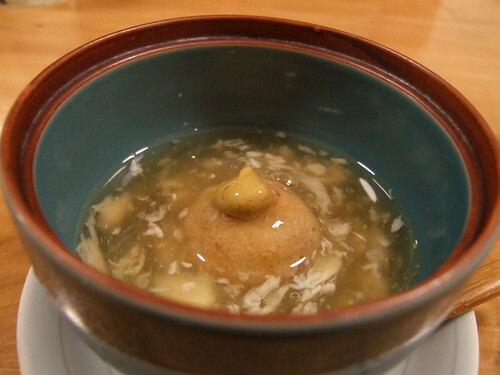 i’m especially curious about the dessert, which does not look like it is made of bean curd skin or even soy since it is more translucent than milky. Glad to see that you found some good chow while you were in Kyoto! 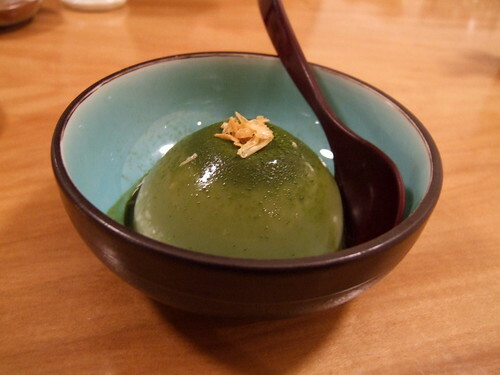 Is the last dish yomogidofu, or was it a maccha sweet? There is an Italian restaurant in OC Anaheim that has very high reviews and they destroyed the elegance of serving simple sushi. It is such a mess pile with sauces served in a platter that I cannot eat it. Why is an Italian serving sushi? I still believe most Americans do not know how to eat right. Serving food that has distraction on a dish does not make the dish tastier. There is so much hype about this place and very popular that I believe people just follower the Ads and hype. The restaurant is being painted with murals and it is very busy wall to wall like their food and no room for simplicity or elegance. I also do not follow the Gaylot report since they mention that this restaurant was excellent. I lived in Italy and Japan. I know food! I wish I can send the above to the owner of the restaurant but I am sure he will not get it!